New in the ever-growing line of Ligretto, which has sold over 5 million units worldwide, is Ligretto Dice! This extraordinary tool for self-discovery draws on the strength and beauty of Native American spiritual tradition. 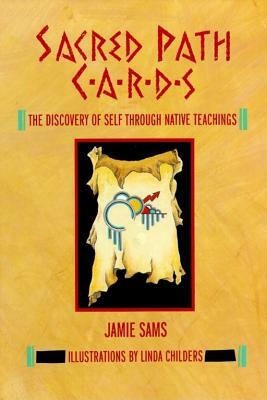 Developed by Native American medicine teacher Jamie Sams, this unique system distills the essential wisdom of the sacred teachings of many tribal traditions and shows users the way to transform their lives. The 44 beautifully illustrated cards, each endowed with a particular meaning and message, may be drawn individually for a daily lesson or laid out in a series of spreads that open up different paths to inner knowledge. Used with the accompanying text, which explains the various forms and methods of interpretation and divination, the cards are a powerful tool for enhanced self-awareness and positive change. This convenient and beautifully designed deck contains 50 easy-to-reference cards for classic winter drinks and festive cocktails. Based on Yee's successful book "Yoga: The Poetry of the Body, " this stunning card deck will appeal to yoga fans of all levels. The deck is comprised of 50 cards, each picturing a pose, with instruction and tips on the back. From the great Renaissance artist: "Portrait of the Artist Holding an Erynganeum," "Self-Portrait," "Portrait of a Young Venetian Woman," "The Virgin and Child," "Hare," "Wing of a Roller." Spectacular views, specially selected from NASA's own archives, recapture the excitement and adventure of great moments from America's exploration of space. Historic images include the launch of Apollo 11, astronauts walking on the moon, and views of the earth from space. Break-the-ice and prevent awkward moments with Conversation Starters. Another great title from Meadowbrook Press's successful card deck line, the deck features 52 personal questions designed to start conversations that are both interesting and entertaining. Great for dates or a group of friends. These cards are alive with movement-the delicate curves, the sweeping lines, the bright yet gentle color-all serve to draw the mind around and into the pictures. Taken together in a reading, these cards almost effortlessly weave a story. Taken individually, there is plenty for the eye to feast on. This deck, a work of art in itself, will also serve as a powerful divinatory tool. The companion booklets for most Lo Scarabeo decks are in five languages: English, Spanish, French, Italian, and German. Every card in The Secret Tarots has its own soul and a voice that whispers forgotten things to the hearts of all who will listen. With images reminiscent of everything from Lord Byron to Mad Max, the ancient archetypes are dressed in new clothes. These cards represent the journey along an esoteric path leading to the understanding of secrets from the past, present, and future. The companion booklets for most Lo Scarabeo decks are in five languages: English, Spanish, French, Italian, and German. As rich and complex as life itself, the Crystal Tarot blends the look of stained glass with art nouveau style to gracious effect. The use of patterns within patterns gives depth to the traditional pictures of the Tarot. Influenced by both the Rider-Waite and Thoth Tarot decks, this modern Tarot is an exquisite blend of the old and the new. The familiar images are all there, while the details--executed in brilliant and unusual colors--invite viewers to linger, to search, to make sure they miss nothing--an effective trait in a tool of self-examination. The companion booklets for most Lo Scarabeo decks are in five languages: English, Spanish, French, Italian, and German. Discover the hidden secrets of this popular Rider-Waite deck. Peek behind these well-known images and see what was, until now, just out of sight. What would the woman in the Two of Swords see if she took off her blindfold? Ever imagine someone or something behind the mysterious High Priestess? Change your perspective, add depth to your readings, and satisfy your curiosity. The companion booklets for most Lo Scarabeo decks are in five languages: English, Spanish, French, Italian, and German. Designed in the Rider-Waite tradition, this easy-to-use tarot deck is fun for all levels of tarot enthusiasts. Featuring majestic, albino kitties displaying their mystical and valiant personalities, these feline-themed cards are the perfect gift for your cat-loving friends. The companion booklets for most Lo Scarabeo decks are in five languages: English, Spanish, French, Italian, and German. The Universal Marseille Tarot takes us directly to the origin of tarot. The highly sought-after deck by Claude Burdel (1727-1799), originally rich with divinatory suggestion, has been beautifully restored-giving new energy to the ancient images and amplifying their symbolic meaning. The companion booklets for most Lo Scarabeo decks are in five languages: English, Spanish, French, Italian, and German. This reproduction of Claude Burdel's eighteenth-century tarot is now available in a popular miniature size. The companion booklets for most Lo Scarabeo decks are in five languages: English, Spanish, French, Italian, and German.